After catching up on some blogging activity over some coffee, we cycled off to La Palmyre to see the Sunday morning market. It was heaving. The "spinning chicken" (rotisserie) machine was doing a roaring trade; the poissonerie (fishmonger) was doing a roaring trade. It’s a good French market. Fortunately or unfortunately, depending upon one’s viewpoint, we were fully stocked with food so didn’t need to join any of the queues. When we returned to our campsite after our quick dose of France, there had been developments near us on the site. There are certain types of caravan that you just get uncomfortable feelings about. Anything that is large, twin-axled, of a couple of certain makes, and loaded with people, sets off the alarm bells. Behind us and relatively close was a van, with a shop-blind canopy, that must have exceeded the legal British length limit. Since it had apparently been pulled by nothing larger than a Ford Focus, the intensity of the alarm bells was increased. There was also accompanied by a 5 series Beemer without a tow bar. This screamed "gens de voyage" (itinerants, to be polite). Most French campsites reject such units though, to be fair to this site, they are usually accompanied by white vans rather than cars, and travel in convoy. They weren’t actually being any trouble and we tried to shrug off our feelings of unease and relax but nature is a funny thing and it clearly wasn’t working. 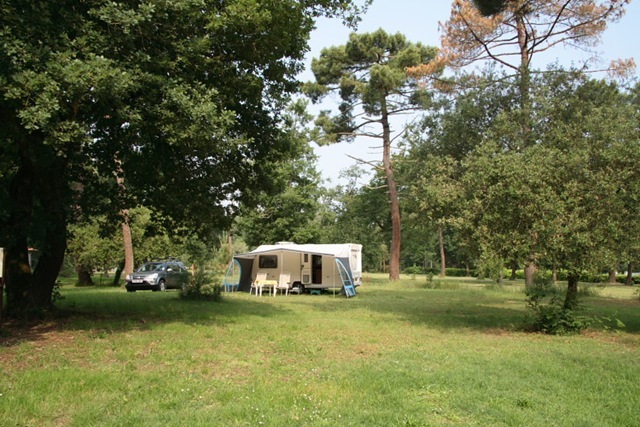 Carol had read about an aire naturelle campsite little more than half a mile away so we cycled off, checked it out, found it blissfully empty (only about four units in an enormous space) and decided to move. We returned to the original site, paid for our one night, packed up both awning and caravan and were on the road, albeit very briefly, in what must have been a world record time of about 30 minutes. We were met at the new campsite by an absolutely delightful older lady who seemed to use the occasional German word mixed in with her French. She seemed to notice and apologised, explaining that her husband was German. Once I told her I spoke a little German, she started flipping between the two with gay abandon. We had a most enjoyable if strange conversation. After a false start and some difficulty with the sun canopy caused by a gusting wind from an adverse direction, we finally got Billy settled into his new home and dinner on the go. There’s nothing like a sausage fest, Toulouse and merguez, after a slightly rushed day. As we were attacking the cheese course and light was fading fast, we started hearing some strange bird noises the like of which we had never heard before. It had to be an owl but which owl? One benefit of having the lap top is that it is loaded with a bird recognition suite with sound files of their calls, albeit only for British birds. We knew a few owls that it wasn’t so I started with the remaining suspects. Purely by chance, the first one I picked hit gold; we were listening to the young of the long-eared owl. After a while we saw a few ghostly shapes flying from tree to tree whereupon the noises would start again. There were at least two and maybe three young owls around us. Since this is in our category of thrilling, we spent quite a while watching and listening in the near dark. I awoke a few times during the night and the vocal little devils were still at it.